Good Samaritan Society-Moscow invites you to join us for a free informative seminiar open to residents, family members, and the community. The seminar will help you plan for the two most important things in your life: everything you own and everyone you love. 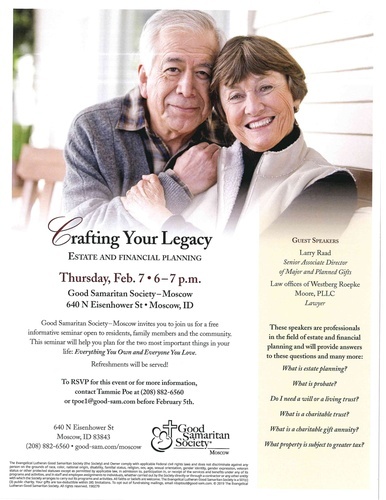 To RSVP for this event or for more information, contact Tammie Poe at 208-882-6560 or tpoe1@good-sam.com.